Our Foil confetti is high quality product. Thickness is 35µ. 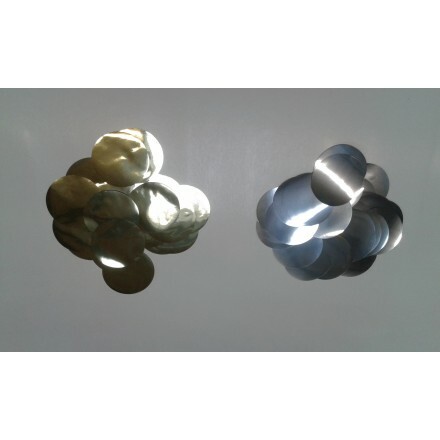 Our metallic confetti are special treated to be flameproofed. Ideal for Christmas, Happy New Year, Wedding, VIP parties & events. You can use them to decorate, to fill balloons or throw in the air with confetti canon. We propose several shapes as circles, hearts, rectangles, stars and different sizes. Foil Confetti is also called Mylar Confetti. Foil Confetti 55mm Circles. Flame-resistant, this is available either in bag of 50g or 1kg. You have the choice between Gold, silver, Red, Green, one face Gold second face Silver and the very popular Rose Gold. Foil Confetti Rectangle shape 2X5cm. Flame-resistant, you can either buy in bag of 50g,1kg or 10kg. 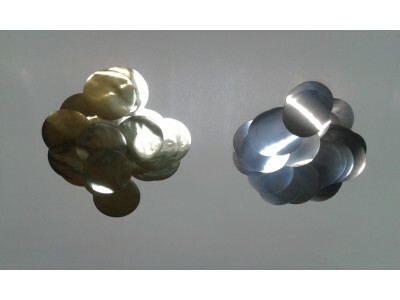 We make and supply Foil Silver, Foil Gold, Foil Red, Foil Red & Foil one face Gold second face Silver. 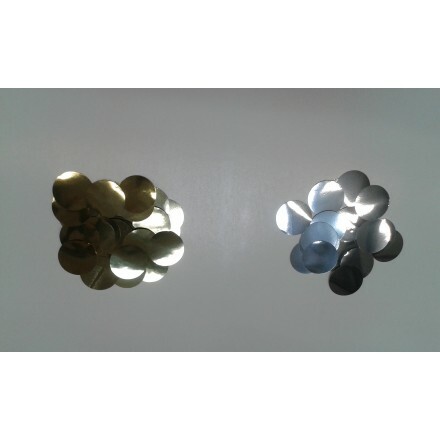 Foil Confetti Circles 25mm. Flame-resistant, two different packs are available, either 50g or 1kg. You can choose between Foil Rose Gold, Foil silver, Foil Gold, Foil Red, Foil Green or Foil one face Gold second face silver. 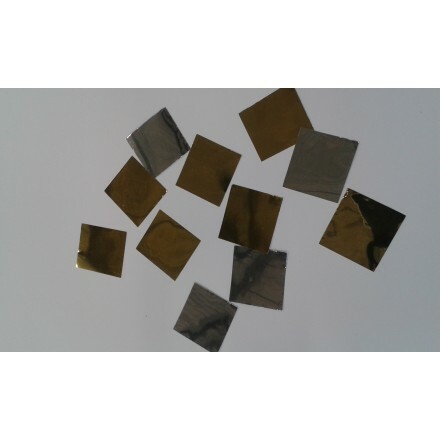 Flameproof Foil Confetti Rectangle Shape 20x10mm. You buy in bags of 50g, 1kg or 10kg. You can choose between several colours, Foil Silver, Foil Gold, Foil Red, Foil Green & Foil one face Gold second Face Silver. 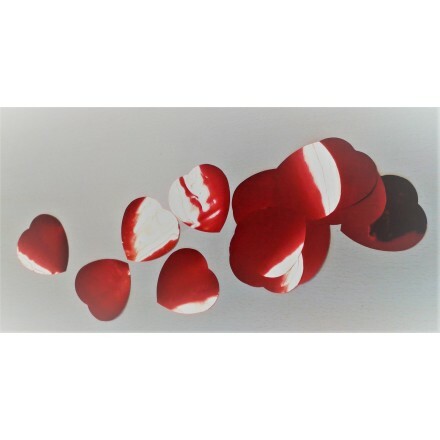 Foil Confetti Red Hearts 30mm. Flame-Retardant, two different packs are available either 50g or 1kg. Deco Party UK offers high quality foil confetti shaped. 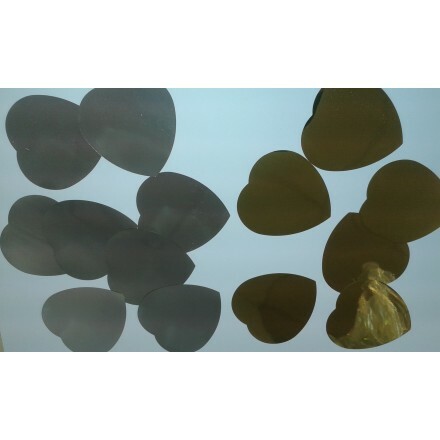 Very thin, it is perfect to fill in balloons for a magic decoration or to throw in the air. We also call it metallic confetti. Our foil confetti is flame-retardant. We have been the bigger supplier of this great confetti in the UK and in Ireland. We make several shapes. Most popular are circles foil confetti, rectangular metallic confetti, heart foil confetti. This wedding confetti is the best quality of the market. We also make square foil confetti for wonderful fall down when throwing in the air. Deco Party UK have made several sizes as well. 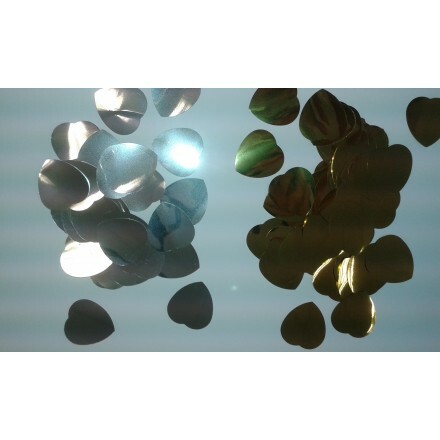 Our circle metallic confettii are available in 25mm and 55mm diameter, rectangle foil confetti are available in 20x50mm and 20x10mm, hearts foil confetti in 30mm and 55mm, square metallic confetti are available in 30x30mm and 50x50mm. Other sizes can be made with your special enquiries. Feel free to contact us for that. 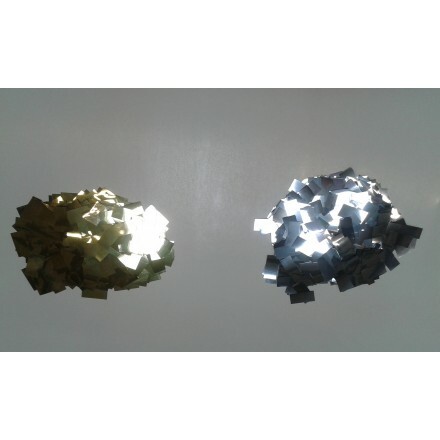 We supply these foil confetti in several colors : gold confetti, silver confetti, foil red confetti, foil blue confetti and foil green confetti. 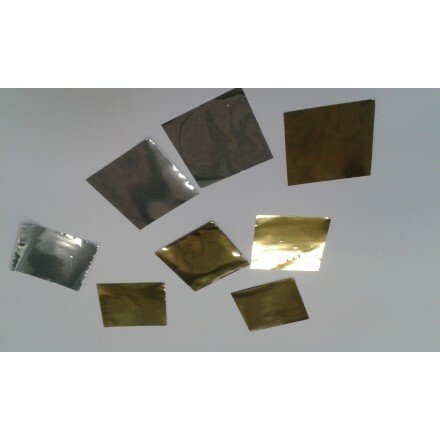 Our foil confetti has been supplied in different packages, some 50 grams bags, 1kg bags and more. For a pack of 50g of circles 25mm foil confetti we have about 2500 pieces. If you need your own packaging feel free to send us your inquiry. These foil confetti are used for big events, special effects and shows, we have supplied soccer world cup in Berlin in 2006 and a lot of other big events as Olympic Games… Theatres and opera use them as well, also night clubs, these confetti are used for every occasion. 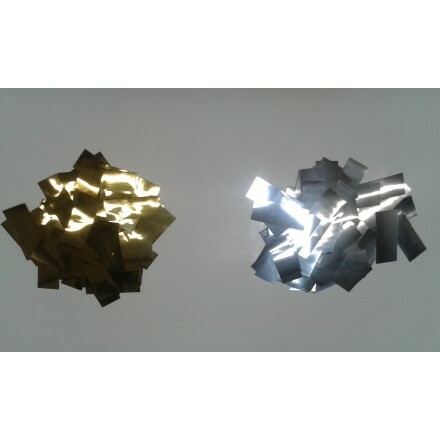 You can buy online these foil confetti for Christmas Decoration. Use them as a table decoration you can easilly sprinkle these confetti on the table. Give any metallic colors for Christmas. They are also used for New Year's Day. Give a bright touch for your birthday party, baby shower, wedding celebration and for all occasions. Do you want to surprise your guests for your garden party? Our metallic confetti will offer an original finish touch, give any ideas for other parties as Hollywood party, Vegas Party and much more. Our factory is able to produce big quantities. If you are a wholesaler, reseller, retailer, importer, you can buy from us big quantities, big packages with a high quality flameproof, well cut without any dust inside. We invested big amounts to have automatic machines, we have built these machines by ourselves. If you would like a special shape or size, feel free to send us your inquiry and we will study if it is possible technically to produce your own confetti with minimum of quantity. We can supply you these foil confetti in polybags, in cartons or in bags with header cards, we propose all possibilities you only have to choose best way. Of course don't forget to ask us special prices we can offer for high quantities.